Google released the first developer preview build for Android O earlier this week, and the first thing we tried on it was gaining root access. However, as it turned out, neither SuperSU zip nor Magisk worked to get root on Android O. 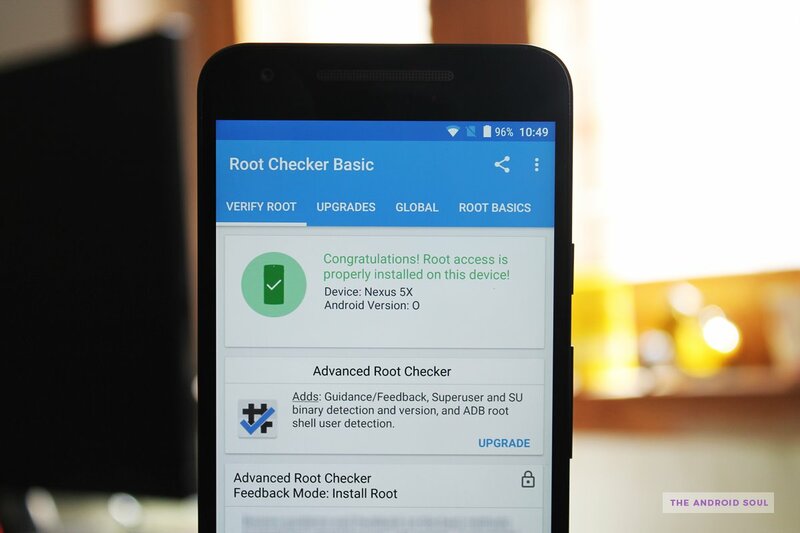 Anyway, yesterday Chainfire posted a quick tweet saying that he was able to achieve a basic root on Android O, and quick enough, the developer has now released root (SuperSU 2.79 SR4) for Nexus 5X and 6P devices running on Android O developer preview release. The way Android O root currently works is not exactly the way we had it on Nougat. On the Android O preview release, some apps might misbehave and fail to gain root access. However, Chainfire tells us that it isn’t particularly an issue with SuperSU but also the changes introduced in Android O and the tightened SELinux policy on Android O.
Android O root has currently been tested on the Nexus 5X and Nexus 6P only. But Nexus Player and Pixel C tablet should theoretically also support it. As for the Pixel and Pixel XL devices, rooting Android O isn’t possible yet due to the A/B partition layout on these devices, but Chainfire tells us that he should be able to fix the issue with Pixel devices with some more time and effort. For more details on Android O root and SuperSU 2.79 SR4 release, please read out the original post by Chainfire over at XDA. Note: Make sure you’ve TWRP recovery installed on your device. For help, refer to our detailed guide on installing TWRP recovery via Fastboot. Download and transfer the SuperSU 2.79 SR4 zip file from the download link above to your device’s storage. After selecting the .zip file, do Swipe to Confirm Flash on the bottom of screen to begin the flashing process. That’s it. Enjoy root access on your Nexus 5X and Nexus 6P running on Android O developer preview release.